CUT THE CORD: Here is a guide for every available live streaming service on the market or coming soon. Cable cut enthusiasts have predicted cable's death for some time now. This past year, two live streaming services, Sling TV and PlayStation Vue, have been refined into good cable TV alternatives. AT&T also introduced its own Internet TV solution, DIRECTV NOW, but apparently it failed to gain customers as well as the predecessors. 2017 promises a number of new entrants who could ultimately take the crown as the best streaming television service out there. But it's true, everything is a bit confusing. The idea of live linear television from the Internet is still fairly new. We will disaggregate all your current and pending live TV streaming services for cable TV alternatives. This streaming service, owned by Dish Network, was an early entry into the TV streaming market. Sling TV was one of the first services that allowed subscribers to see a live version of the same channels they normally could only see through a cable subscription. It was not only first streaming providers but in the early days defined the market. Sling TV sets the standard in terms of price, offered channels and compatibility. New competitors have certainly arrived, with even more down the road, but Sling TV has forged a strong niche for itself. Sling TV has nothing to do with the popular Sling Box. You do not need a Sling Box for Sling TV to work. The service is available on almost every device, from Apple TV to smartphones and Xbox One consoles. Of all the streaming services that allow you to stream live TV, the initial price of Sling TV is $20 or $25 per month is the lowest out there. The service was the first to offer the popular "skinny package" with a much smaller channel package size than cable TV, but for a much lower price. And it was the first to offer the first of many ways to watch ESPN without cable. The $20 per month Orange Sling TV package includes more than 30 channels to stream. It has a bit of everything, including sports channels like ESPN, ESPN2 and ESPN3, and news channels like CNN. Other channels with big draws like AMC, Food Network, TBS, TNT and Comedy Central. The blue package on Sling TV has a starting price of $25 per month for about 45 channels to broadcast. The biggest difference between the two packages is Sling Blue does not have ESPN networks. Instead, it features several FOX-owned channels such as FS1, FS2, FX, FOX Sports regional networks (to see your hometown sports) and even the FOX flagship at specific locations. Other additions are TruTV, NFL Network, NBCSN, and NBC (available in limited areas). What really separates Sling TV from competitors is its flexibility. People hate paying exorbitant cable prices when they see only a handful of channels. Sling TV tries to solve this by combining its low starting price with additional packages. Add-ons cost you between $5 and $15 per month. There are sports packages, news packages, and even a package focused exclusively on children's programming. There are also more premium add-ons like HBO or Starz for $15 and $9 per month, respectively. Of course, Sling TV has its drawbacks. The Sling Orange package will only allow you to transmit on one device at a time (Sling Blue raises it to three devices). And if you need a DVR in the cloud, you're not lucky for the moment. However, Sling TV is currently testing a cloud DVR with Roku users, so this problem should disappear soon. Sony was the second major player in the television streaming market with its PlayStation Vue. At launch, Vue was only available in a small number of markets. It was launched nationwide in early 2016. At first, PlayStation Vue and Sling TV were at different ends of the spectrum in terms of price and channel packs. Now the difference has been reduced, allowing PlayStation Vue to become a legitimate cable replacement. PlayStation Vue has suffered more brand confusion than Sling TV since people tend to match the name of PlayStation with the game console. Like Sling TV, PlayStation Vue is now available on most devices. In most markets, PlayStation Vue has a starting price of $29.99 per month for the Access Slim package. This price includes about 50 channels that include some of both Sling TV packages like ESPN, ESPN2, FS1 and NBCSN, TBS and TNT. Sports fans can not watch CNN, BBC America, CNBC, HGTV, Disney Channel, and (obviously) much more. Beyond the initial package, PlayStation Vue has packages that cost $35, $45 and even $65 per month. The $35 Core Slim per Monthly Package is essentially what someone looking for the answer to watch sports without cable. NFL Network, local sports networks, and several additional ESPN channels. The Elite Slim $45 package has all 90 channels offered on the PlayStation Vue platform. It looks more like a traditional all-in cable package. The same goes for the Ultra Slim package for $65 a month, which adds premium channels like HBO, Epix, and Showtime to those 90 channels. The biggest differentiator for PlayStation Vue is its DVR in the cloud. You can record any program and let it sit in the cloud for 28 days. It can also broadcast on up to 5 devices simultaneously, which is useful for families with many people watching on their own devices. However, there are mobile restrictions that make the service difficult to use outside the home. There are some major markets that offer different packages. 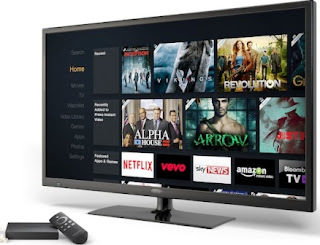 The great attraction is that they often include live network channels like CBS, NBC, ABC, and FOX, something not available in many areas for streaming services. AT&T did not want to miss the fun of cutting cables, so it launched its foray into the market with DIRECTV NOW. The service was launched quickly in late 2016 with great deals of time trying to get people to sign up before the new year, such as giving away 40 additional channels for streaming and streaming devices. While you can no longer get the additional channels for free, you can prepay three months and get a free Apple TV. DIRECTV NOW has just entered the market and already owns the claim of a low starting price of any television streaming service at $35 per month. But it also has the biggest output channel package, so you at least get some bang for your buck. There are more than 60 channels included in this package, and the listings are very similar to Sling TV and PlayStation Vue. Like PlayStation Vue, there are more extensive packages that offer all the way up to 120 channels for $70 per month. You can also add premium networks like HBO for additional monthly charges regardless of which package you choose. DIRECTV NOW looks and feels like the most traditional cable. The packages are larger, and the user interface contains a traditional grid schedule guide. Contrary to what the name might imply, DIRECTV NOW does not require a dish. The service is available on most major devices, although Roku devices are not currently supported. AT&T says it will add cloud DVR functionality at some point in the future. It's almost surprising that YouTube and its parent company, Google, were not in this market before. YouTube Unplugged (the working name for Google's live streaming service) is rumored to be released earlier this year. At this time, there is not much information about service details. We know that Google has reached an agreement with CBS, and is in talks with Disney and FOX. The service will probably reach about $35 per month to start, with small packages with less-seen TV channels. How will YouTube be unlocked in the current streaming market? Hard to say with so little information out there, but there are a couple of things worth considering. First of all, Google owns the search results. So you may be able to inject your service at the top of the search results. Think about the implications there. Someone looking to watch a Movie, Google will put that Movie on the top of search result via YouTube unplugged. Hulu was one of the previous streaming services along with Netflix. Hulu focused on viewing content on demand that had already been broadcast on television. Now, it looks like it will spin in the live streaming TV market in early 2017. Hulu has the advantage of being owned by television networks like Disney, FOX and Time Warner. This will likely make the negotiations and the presentation of specific broadcast channels much easier than many of the other services. The launch in the coming months, Hulu's live service will focus on presenting the programming you want in a clear user interface. This is the antithesis of the DIRECTV NOW cable guide features. How will Hulu learn about its programming needs? According to USA Today's Mike Snider, you'll be asked a series of questions about favorite interests and channels when you sign up. Hulu will then populate your home screen with recommendations based on your responses. From there, Hulu will follow their viewing habits to further adapt the recommendations. Hulu's live service is expected at a price less than $ 40per month. While you may have never heard of it, FuboTV is far from the new kid on the block. Launching right around the time that Sling TV came out in early 2015, FuboTV started as a service dedicated to football fans who want to broadcast matches from around the world. A recent investment of $15 million of FOX of the 21st century and Sky has changed the perspective of the service. FuboTV is now expanding to become a complete cable cutting solution for sports fans. FuboTV is currently a one stop shop to broadcast matches of some of the best soccer leagues in the world. All those games cost only $9.99 per month or $95 for an annual subscription. At this point, it appears that this package will be discontinued, which could be a disappointment for current subscribers. The new FuboTV will be much more similar to other television streaming services. A monthly fee of $34.99 per month will allow subscribers to broadcast about 70 channels per month. It's going to be a heavy sport with FOX and NBC channels and tons of world football coverage. The service will continue to offer a DVR in the cloud. There has been speculation about VIDGO after the company became dark after its announcement at CES 2016. While the company has leaked some information here and there, some people are wondering if the service will ever arrive. The exact price, the size of the channel packs and the release date are still unknown. The press release in late 2016 suggested that some of the featured channels will be ESPN and NFL Network for sports fans, plenty of entertainment channels from domestic providers and even some local network channels in certain markets. If VIDGO can find a way to distribute network channels like CBS, ABC, FOX, NBC and PBS across the United States, then it could actually split. At this time, it seems that these channels may be limited as in other services. VIDGO is also rumored to have a package build its own. If VIDGO can pull this out, it may be the latest cable cutting solution. But for the moment, we wait and see. It's hard to imagine what the streaming television market will look like in a year from now, but it will certainly be more congested. Among the services available in the market and those on the road you see as cable cutters will have plenty of options to choose from. The best news? Since there are no contracts, you can try them all and stick with your favorite.